Home » content guidelines » google guidelines » Matt Cutts » Google Quality Guidelines -A “Nofollow” Guide, Dear Matt! 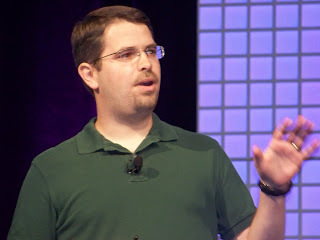 Google Quality Guidelines -A “Nofollow” Guide, Dear Matt! Do you follow Google's guidelines or follow your own instinct in designing, developing and promoting your website? Hundreds and thousands of websites do follow Google's guidelines and lay a serious thought on the same while many don't. Of course, those who don't are the ones that don't care ranking much on search engines but their business does pretty much well online. Jeff Bezos' Amazon is one such portal that came to being in 1995 almost 3 years before Google. If you critically review Google's design and content guidelines, you will get to have a feel of 'ambiguity ' in many instances. Google suggests “If the site map has an extremely large number of links, you may want to break the site map into multiple pages." Does Google clearly define 'what makes an extremely large number of links? What is 'large number' for a site may not necessarily be a large for a portal. Google knows it and that's why it has avoided mentioning any 'number' that qualifies 'large number of links'. The portals like Amzon.com, eBay, Overstock etc appear to have less followed such logic of providing 'sitemap', for the dynamics of their business models may less allow them follow the sitemap guidelines in Google way. If the logic of site map for these giant portals seems less convincing, it equally makes no sense for smaller websites too. May be, it makes a sense for medium sized websites or portals to organize 'site maps' following Google's guidelines. Does that mean Google's guidelines of creating sitemap appear more convincing for mid-sized websites/portals? Dear Matt -In order to make Google guidelines plausible to biggies like Amazon, ebay etc, you need to specify 'what is large number of links' vs 'what is reasonable number of links?' To me, this is not possible because its highly subjective, isn’t it? Google suggests "Think about the words users would type to find your pages, and make sure that your site actually includes those words within it." On the other hand, Google suggests "make pages primarily for users, not for search engines." This is quite confusing. On one hand, the search engine recommends us to incorporate 'keywords' on to site. On other hand, it suggests to keep users in mind. Many SEOs have manipulated ranking by emphasizing the first suggestion of incorporating keywords than on the second suggestion i-e 'to keep users in mind'. The confusion is obvious due to two different suggestions clashing with each other. Dear Matt - How do you define 'quality content'? Are you taking users' feedback to distinguish quality vs quantity? What' a dilemma! You gotta stuck in between automated algorithm and human review! Dear Matt -The digital media is more than HTML and text. With improved web technology and web infrastructure, you should do away with suggestion of incorporating more text than images. The evolving concept of HTML5 and micro-format heading for web 3.0 is something that many don't follow the guidelines of designing a textual website. If crawler does not recognize the images, please update your crawler to recognize more formats. This further shows that you want textual content sites like Wikipedia.org rather than 'rich content' sites built on the top of improved and rich technology. It also exposes your inability to define what 'content' means and how you hold the outdated persona of 'content'. To you, content means texts! Had this not been the case you would not have suggested making use of 'texts' more than images! Matt, update your guidelines of putting Alt Tags for images because I have already written that you are no longer considering alt tags seriously. Your own blogspot does not allow ALT tag which is contrarily to your suggestion. Closing Thoughts: Many analysts believe that Google will continue to rule search engine marketing for at least many years to come by but I think its a 'doubtful prediction'. Google's consistent struggle and inability to update algorithm at par with advanced and progressive web technology may be a cause for Larry and Brin to go against each other earlier than 2024 what was initially agreed upon! Eric’s step down as CEO is just a beginning! Well stated, Munaz. I hope Matt reads it.